Cape Town - Real Madrid manager Zinedine Zidane believes out-of-form striker Karim Benzema is well aware that he can put in more effort in an attempt to break his dry spell. 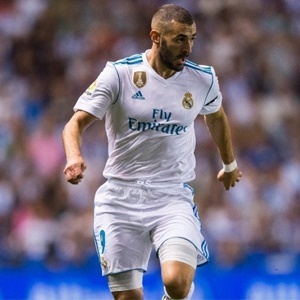 Benzema has been lacking his normal cutting edge in the final third in recent games, managing only two goals in 13 games across all competitions. However, Zidane has backed his French compatriot to get back to his best soon, with Tuesday's UEFA Champions League clash with APOEL a golden opportunity for him to find some form. “He [Benzema] is the first one who knows he can give more, because of the confidence issue, especially his confidence in front of goal,” Zidane told his pre-match press conference. “Strikers maybe need goals for confidence, but he’s playing well, the team is playing well.